Window wipers smear the windscreen of a Land Rover – an honest off roader – to the tune of ‘Chopsticks’ on the piano. We see the land rover in action and then in ‘hose down’ mode. Is this an advert for Land Rover? No. We’ve moved onto a galloping horse on a muddy race course. And dirt bikes on a wet course become mud bikes. 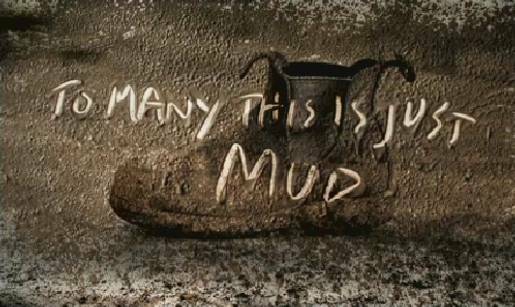 We’re given a message scrawled in the mud… “To many this is just mud. To others it’s what you do with it that makes it extraordinary. At this point the chopsticks-playing piano is joined by an orchestra. We’re shown a series of artistic mud vignettes. Mud bricks being made by hand. Dancers daubed with white mud, stalking with mud-based masks. An adobe being basted with mud. A mud painter surveying his five metre-high painting. A large mud medallion is exhibited in an art gallery. The sun sets on a South American mud city. Two brick makers look over their thirteen rows of bricks. A woman adorns her face with mud. A pedestrian and cyclist pass each other in front of mud city walls. Finally we get to the final shot – “Make Ordinary Extraordinary – Konica Minolta – Copiers, Cameras, Printers”. The Extraordinary spot was developed at DDB Sydney by creatives Garry Horner, Michael Faudet, Charlie Cook, Mandy Kennedy, and agency producer Sean Ascroft. Filming was shot by director/cinematographer Iain MacKenzie, via Pod Film, with producer Catherine Kerr. 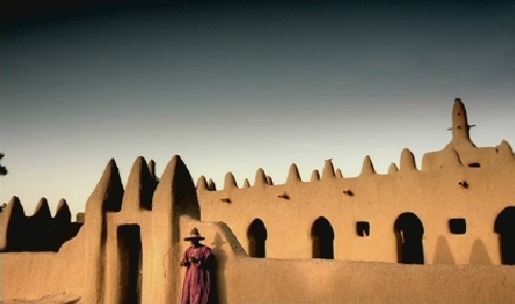 Iain’s work on Mud won a cinematography gong at the 2005 at The Kodak Gongs. Music was arranged by Sydney composer Hylton Mowday. Hylton says that the brief of the commercial was to take something and make it sound extraordinary. For days he thought about the concept and eventually came up with the idea of a simple theme that almost any household that has a piano has heard: ‘Chopsticks’. During the second half of the commercial the humble piano is joined by an extraordinary orchestral backing to symbolize the two halves of the scale and the extraordinary product. Post production was done at Resolution Design by producer Will Alexander, designers Tim Dryoff and Maxence Pellion, and Flame operator Tim Dryoff. Editor was Bernard Garry atKarl Marks (The Editors).